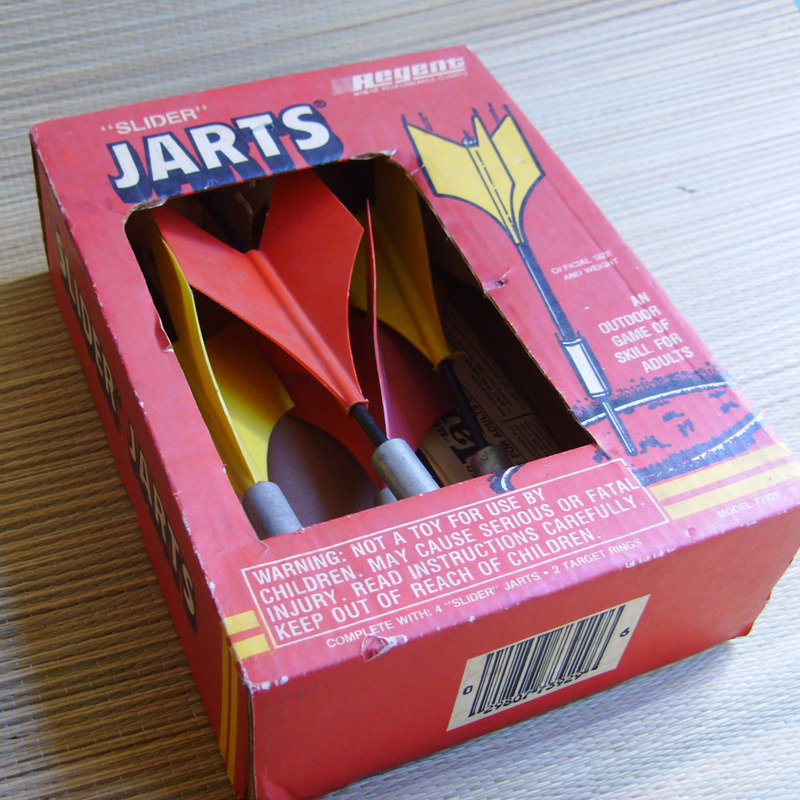 Jarts are a outdoor toy officially banned by the U.S. Consumer Product Safety Commission. They are not only banned, but the agency recommends if you have this game, you destroy it. You'd think Jarts were semi-automatic weapons marketed to children. 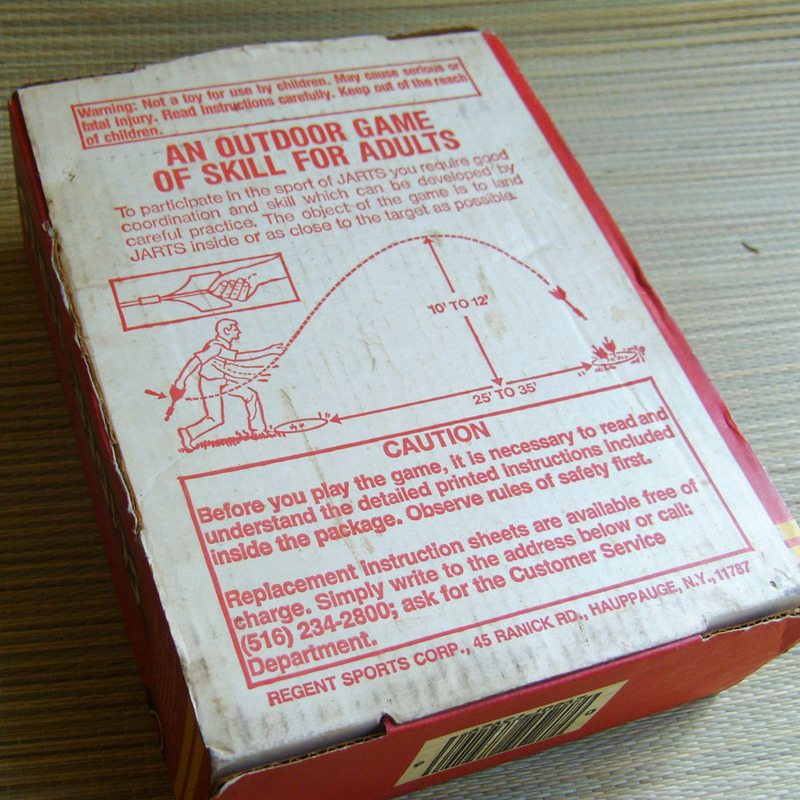 If you read the packaging, you'll note that it's states, quite clearly, that Jarts are an ADULT toy. It wasn't always that way - originally, the lawn darts had pointed tips, and were sold as a kids' toy. But hey, that was the 50s and 60s when people took responsibility for their own stupidity. 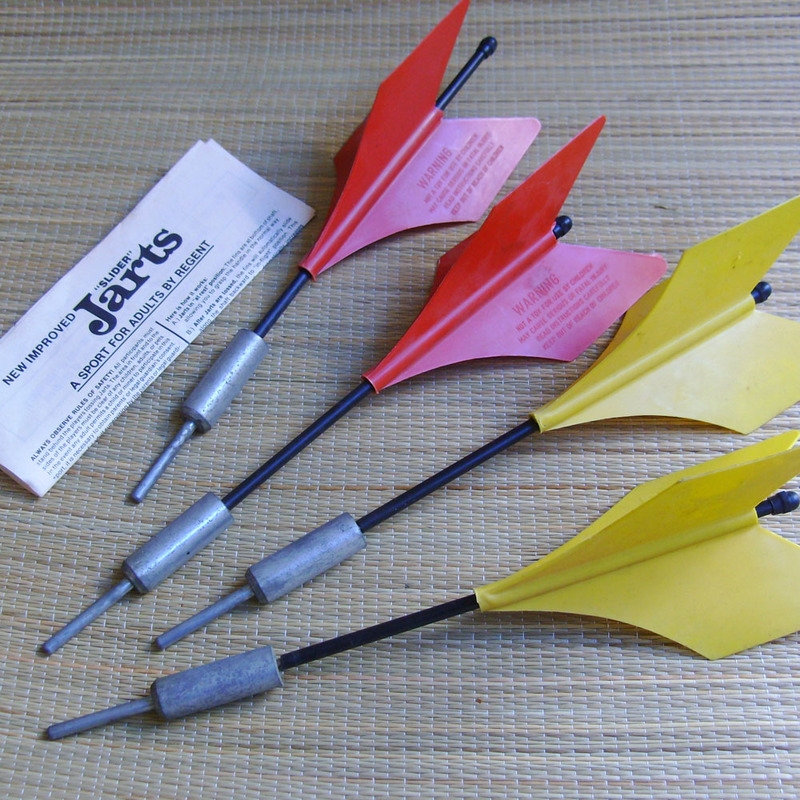 In its 30+ year history, there have been at least three deaths associated with the (mis)use of Jarts. The death of a young girl prompted its ban in the U.S., and eventually Canada. Many people are closet Jarts fans. There are Jarts competitions, and people continue to buy and sell black market Jarts anywhere, except Ebay. Some people have very strong feelings about vintage Jarts and the ban. 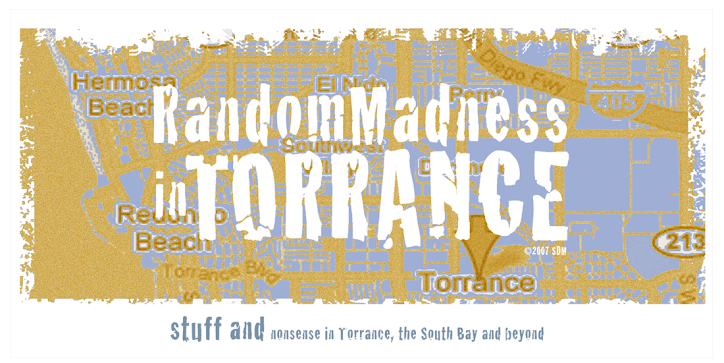 If you're curious about playing the game, and don't have vintage Jarts, this kinder, gentler version is available. Legally.